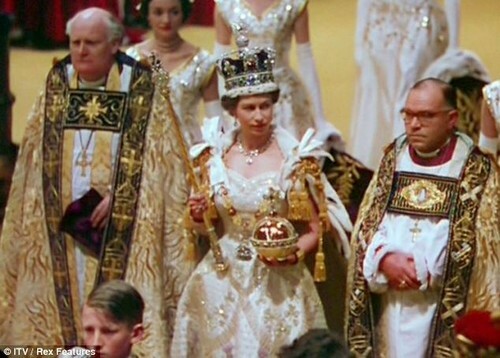 퀸 Elizabeth II arrives at Westminster Abbey in the Coronation. . Wallpaper and background images in the 엘리자베스 2세 여왕 club tagged: photo queen elizabeth.